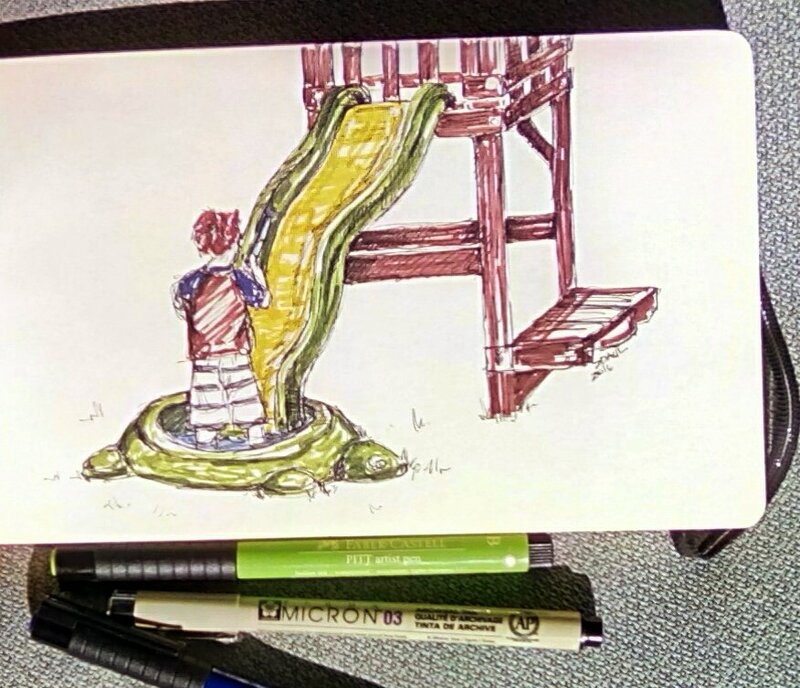 I finally found ten minutes of (relatively) uninterrupted time to lounge in the shade and sketch some summer fun. Here I drew my one son with his water squirter. He’s standing in the former turtle sandbox made water hole, placed beneath our slide. As you can imagine, the slide and splash action was quite fun. I used a Micron black ink pen in size 03 with Faber-Castell PITT artist pens (their landscape series) in my moleskin sketchbook.